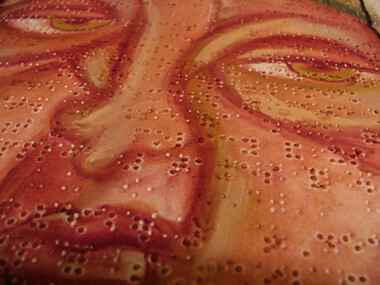 I was researching Schwan's Frozen Food products, when I noticed you could sign up for their Braille food catalog. Being curious I signed up. When I got it, it was a spiral bound, 60+ page, completely Braille booklet. 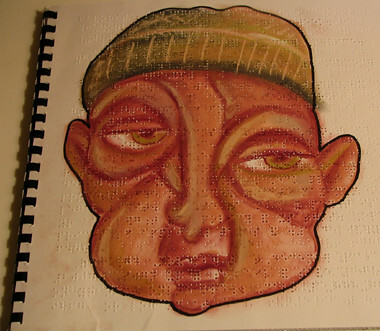 Since I don't read Braille and the texture was intriguing, I thought it might be good for pastel drawings.